GH-VD series vacuum mixing device is mainly used for producing vacuum premix A / B material required for electrician industry. 1, The whole set of advanced equipment technology, high reliability, user-friendly design, maintenance convenience. The key components are all brand-name products, rotary vane vacuum pump for the Nanjing HeLi products, mixing chamber rotating parts using Japan NSK bearings, rotary seals imported seals, vacuum gauge Chengdu Ruibao products, platinum resistance for the German JUMO products, temperature controller Yuyao Gongbao products, electrical switch contact-or Schneider and ZhengTai products. 2 . Our company fully take into account the reliability of the weak links in the equipment in the design process , effectively ensure the long-term stable operation of equipment. 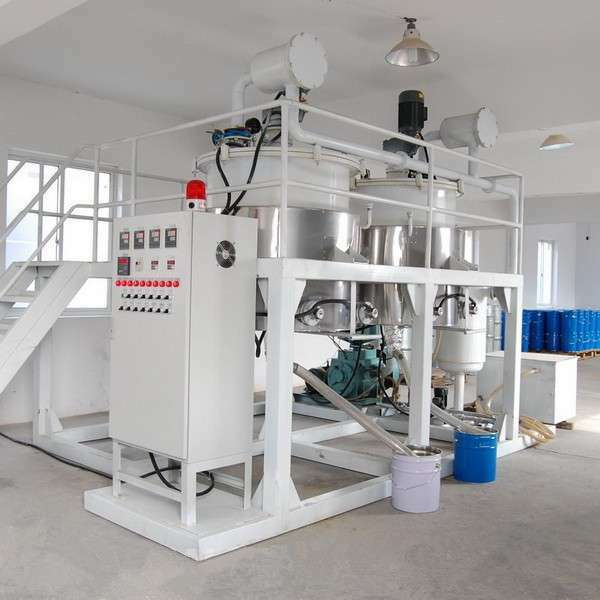 3.The equipment is equipped with two-stage filtration system. Among them, the German-made condensation filter is filled with plant shell activated carbon, which has extremely high adsorption force, which realizes the function of protecting the entire system and greatly reduces the maintenance frequency of the equipment. 4.According to the properties of casting material in our country, our company and Nanjing Heli jointly developed a rotary vane vacuum pump with strong applicability of epoxy resin casting plant. Its service life is more than twice that of German vacuum pumps. 5, The heating system adopts the power control module to control, which can fully guarantee the temperature balance and stability. The actual power consumption during the insulation phase accounts for about 35% of the total power, and the heating load does not fluctuate, greatly reducing the actual heating power. 6 ,Casting material in our country mainly with filler, our company has developed three two-chamber vacuum casting tank valve at the end, effectively avoiding the valve after opening or unloading material drift phenomenon . 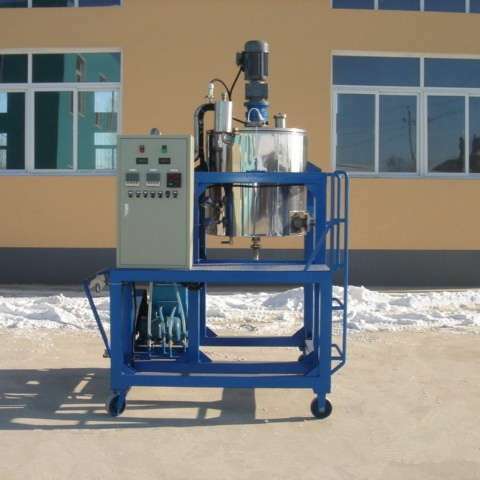 7, Mixing chamber for the body to enhance the structure, with degassing thoroughly, advanced and reasonable structure, easy to clean and so on. The body has a double mixing structure, stirring very fast. 8, Our company will conduct free training for user operators. 9, Providing users with one to one after-sales service, full technical support to ensure long-term stable operation of equipment .